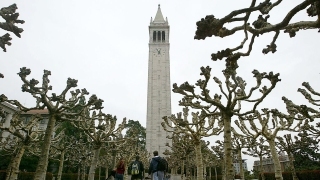 Berkeley has made headlines recently for a rash of political protests and violence, but a new report puts the birthplace of the Free Speech Movement among the top 10 places to live in the United States. Ranking and review website Niche unveiled its annual “Best Cities to Live in America” for 2017, and the East Bay city came in at No. 5. Niche said it analyzed data from the U.S. Census Bureau, FBI, Bureau of Labor Statistics and Centers for Disease Control and Prevention to compile the ranking. The “Best Cities to Live” list was based on crime, public schools, cost of living, job opportunities, and local amenities, Niche said. Located in Alameda County, Berkeley has just under 117,400 residents. In Niche’s report card, Berkeley earned an overall A+ grade. Looking closer, the city, which Niche considers a good place in which to raise families, received an A+ for its public schools, diversity and weather. The city’s commute and and nightlife brought in an A grade, and its jobs a B.
Berkeley didn’t fare quite as well in other areas, though – getting a C+ in both housing, and crime and safety, and a D+ for its cost of living, the report showed. Ann Arbor, MI. came in first place in the “Best Cities to Live” list, and was followed by Naperville, Ill. and Arlington, VA.
NBC Chicago contributed to this report.